Two men have been arrested on suspicion of murder after a man died following a city centre brawl. A police spokesman said Georgi Yaschuk, 23, of Cambridge Road, Brighton, died after he was hit by a lorry when the fight spilled into Western Road, Brighton, in the early hours of Sunday (April 10). A spokesman said: “Officers launched a murder inquiry after emergency services were called to Western Road near the junction of Temple Street at 2.40am. The victim, a 23-year-old man from Brighton, was found lying in the road. He was sadly dead at the scene. 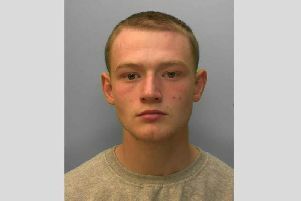 “He has now been formally identified as Georgi Yaschuk, 23, of Cambridge Road, Brighton. Detective Chief Inspector Tanya Jones, from the Surrey and Sussex Major Crime Team, said: “This has been a fast moving investigation and we have now arrested two men on suspicion of murder. Email 101@sussex.pnn.police.uk or ring 101 quoting Operation Longthorpe. Western Road from Montpelier Road to Norfolk Square has reopened after it was closed in both directions while investigations were being carried out.